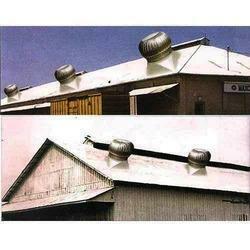 We are a leading Wholesale Distributor of industrial roof ventilation system from Hyderabad, India. In view of the aptitudes and knowledge of vendor’s able group of experts and inventive specialists, we deliver an arrangement of Industrial Roof Ventilation System. Owing to peculiarities like soundness and simple to set up, the exhibited assortment is broadly requested and craved for in the business. A group of vendor's proficient experts, with hard-earned experience transform the offered assortment utilizing best review unfinished material. Looking for Industrial Roof Ventilation System ?